Cape Cod & Hyannis @ West Barstable, Ma. 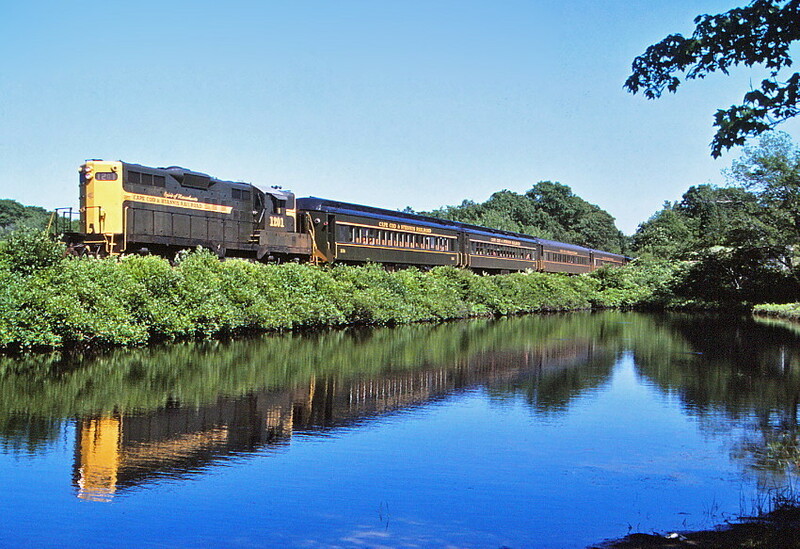 EMD GP-9 1201, ex-NYNH&H, PC & Conrail, leads its train past Hoxie Pond at Old Colony Road. Photographed by Bruce Macdonald, July 22, 1986. Added to the photo archive by Bruce Macdonald, August 8, 2018. Railroad: Cape Cod & Hyannis.